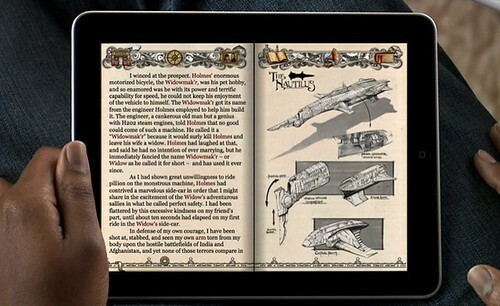 Sherlock Holmes vs. Captain Nemo in an enhanced, interactive iPad adventure book set in a steampunk universe. 1,290 backers pledged $42,877 to help bring this project to life. The pledge dollars beyond our original goal will be used to develop the second book in the series, Steampunk Holmes: Frankenstein (working title) and to prove it, here is the first concept sketch by the very talented, Daniel Cortes. With your support we can make this a stretch goal for December 2012! If we reach $40,000.00 everyone who contributes to this campaign will be given a coupon code for a free download of the Steampunk Holmes: Frankenstein ebook when it becomes available. Contributors who pledge more than $39.00 will also get the iPad book version. If you've read the original Frankenstein by Mary Shelley than you know its nothing like the blockheaded creature-flick made famous by Boris Karloff. Frankenstein is one of the greatest works of science fiction (not to mention one of the earliest) because it is a masterpiece of literature. 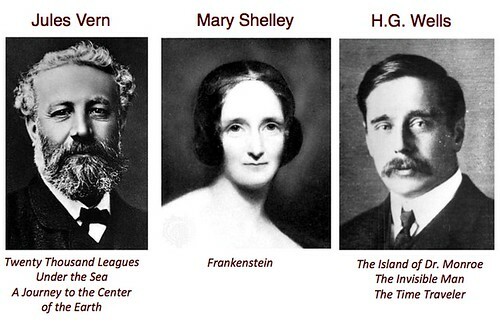 The creature in Mary Shelley's book is not a mindless, clumsy monster, he is a character of immense depth and sorrow. An antihero if there ever was one. 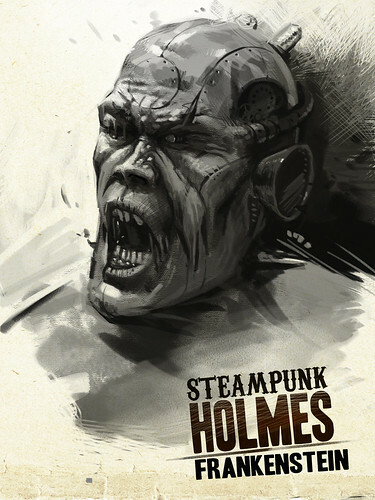 In Steampunk Holmes: Frankenstein you can expect an equally deep character which will challenge the mind of Sherlock Holmes, the humanity of Doctor Watson, and the life of Mycroft Holmes. If you love this concept as much as we do, and we love it as much as Legacy of the Nautilus, then help support us by spreading the word. 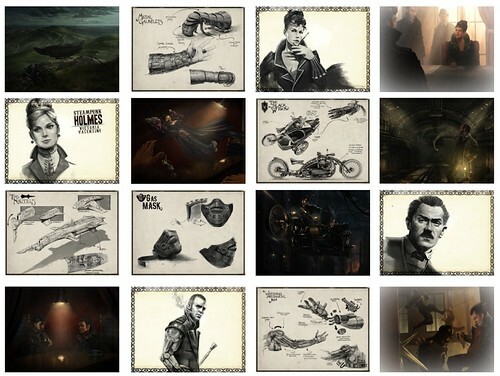 We need a big push in the next 12 hours to make Steampunk Holmes: Frankenstein a reality for December 2012. 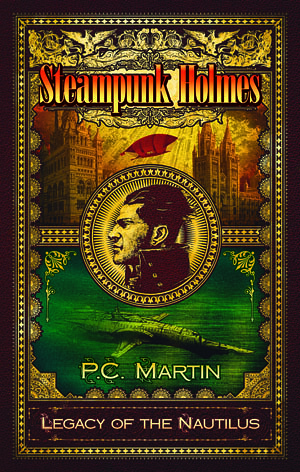 Steampunk Holmes is a series of seven books published across multiple channels. This project raises funds for the first book in the series, Steampunk Holmes: Legacy of the Nautilus. In an alternative Steampunk universe (c.1885), the plans for Captain Nemo's mysterious Nautilus submarine have been stolen from the British Secret Service. There is only one man who can solve the case, Sherlock Holmes. With his bionic side-kick Doctor Watson, and his brilliant and lethal sister, Mycroft Holmes, Sherlock unravels a mystery that will shake the foundation of the British Empire. 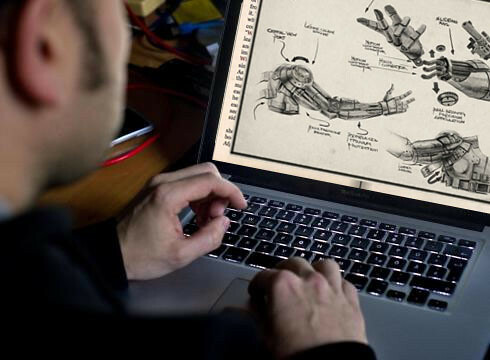 Beyond this Kickstarter project page you can learn a lot more about Steampunk Holmes at our web site, SteampunkHolmes.com and keep up with the latest news on our twitter feed, SteamHolmes. You can also read the complete manuscript by buying it for $ .99 from Smashwords.com (you get immediate and free access to it if you pledge at any dollar amount). 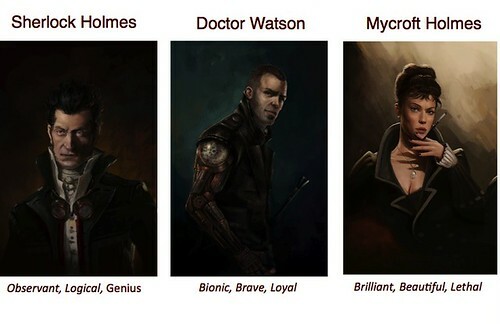 In subsequent books Holmes, Mycroft, and Watson will face villains based on Mary Shelley's Frankenstein, H.G. Wells' Dr. Moreau, The Invisible Man, and The Time Traveler, and beasts from Jules Verne's A Journey to the Center of the Earth as well as other classic science fiction characters from the 19th Century. 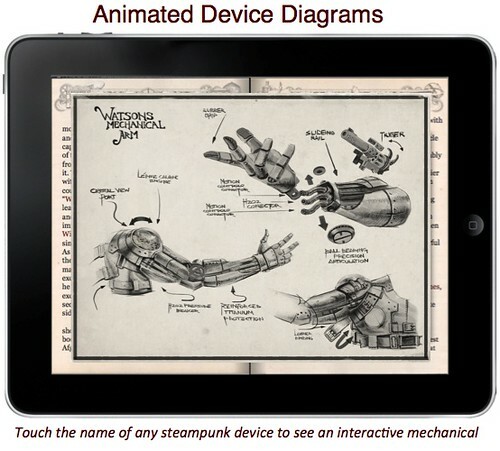 Steampunk Holmes: Legacy of the Nautilus is multi-channel publishing project for the Web, eReaders (kindle, Sony, iBooks), audio players, tablets, and print. In other words, a complete editions of the books are going to be released on several different reading platforms so that everyone, no matter how they read, can enjoy the series. Our motto is to "leave no reader behind". No matter what your favorite reading platform is Steampunk Holmes will be there. The Web Edition - A yearly subscription gives you access to the fist interactive novella as well as the seven planned sequels. The Tablet Edition - Initially developed for the iPad, we plan to eventually create interactive editions for Android and other Tablets. The eReader Edition - for those folks who just want to read the text on their Kindle, Sony, or other eReader we'll have an edition for them too. The Audiobook Edition - for those readers who love to listen to audiobooks while driving or cleaning the house, we have a dramatized audiobook that is about two shakes from being completed. The Print Edition - We love to curl up with a paper book as much as the next person and so we'll have an illustrated printed edition as well. What rewards are you offering? The great thing about Kickstarter is this: If we don't meet our funding goal your contribution is returned to you. Also we don't get squat until you get your awards as promised below. How's that for customer satisfaction! That means your contribution is only used if the entire campaign is successful. At any dollar amount (yes, even $1.00) you get a coupon code for immediate access (right now!) to the eBook manuscript from Smashwords.com. The code will be sent to you after you pledge. You get access to the first book in the series, 'Steampunk Holmes: Legacy of the Nautilus' as promised at the $1 and up level, as well as an advanced copy of the next six book in the series. At the $9.00 level you get a lifetime subscription to the Steampunk Holmes Web site on which you can enjoy reading and interacting with the first book, Steampunk Holmes: Legacy of the Nautilus and all subsequent books in the series as they become available. That's a $200.00 value for a $9.00 contribution! A copy of the print edition of 'Steampunk Holmes: Legacy of the Nautilus' for those of us who like to curl up with a book. 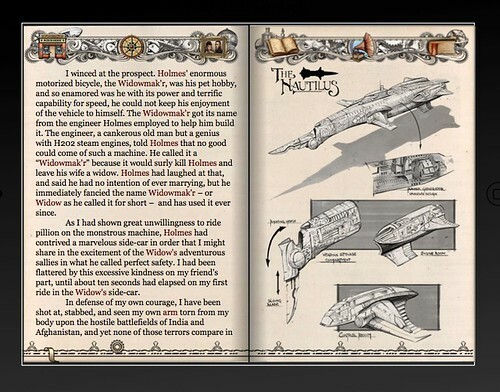 At the $29.00 level, you get all three electronic editions of 'Steampunk Holmes: Legacy of the Nautilus', including the fully enhanced, illustrated, and animated iPad book app, the text-only eBook (ePUB), and the audiobook (MP3). PLUS your name immortalized on the Contributors List published in the iPad book and the web site. This is a special level that combines Levels 8, 9, and 19 and is included by popular demand. At the $39.00 level you get everything at the $9.00 level, plus Steampunk Holmes: Legacy of the Nautilus for the iPad, audiobook, and eReaders (i.e. 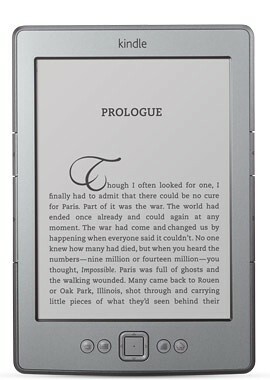 Kindle, iBooks, Sony and most other eReaders). At the $59.00 level, you get everything you get at the $29 level plus Abney Park's latest music CD signed by lead singer, Captain Robert. PLUS your name immortalized on the Silver Contributors List published in the iPad book and the web site. At the $69.00 level you get everything at the $39.00 level, plus Abney Park's latest CD signed by lead singer, Captain Robert. In addition, your name is immortalized in the Silver Level Sponsor List permanently published on our web site. In 20 years you can look back and say, "I helped to launch Steampunk Holmes" and have proof. 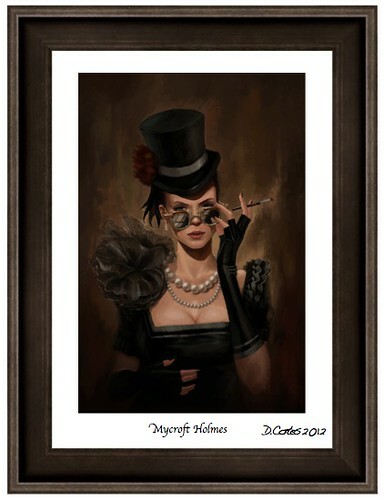 At the $99 level you get everything at the the $69.00 level, plus the print edition of Steampunk Holmes: Legacy of the Nautilus and your choice of three mini-posters from the book signed by the artist Daniel Cortes. You'll also get a personal Thank You letter from the author, P.C. Martin! At the $249 level you get everything you get at the $99.00 level plus, access to all subsequent books in audio, iPad, eBook, and print editions as they become available. In addition, your name will be immortalized in the Gold Level Sponsors List permanentlyincluded in the acknowledgments section of all editions of the book. At the $499 level you get everything you get at the $249.00 level plus, all printed editions of each sequel lovingly signed by the soon-to-be-famious author, P.C. Martin. In addition, your name will be immortalized in the Diamond Level Sponsors List included in the acknowledgments of all editions of the book. Two contributors at the $899 level will get everything at the $499.00 level, plus we'll use their names for two characters in the story! Imagine Sherlock Holmes addressing a character with your name! At the $1,399 level, your likeness will be used for a character portrait which will be included in the book, made into a print signed by the artist for you exclusively. One of a kind original art by Daniel Cortes! Over the course of the past 10 months we’ve created the manuscript – a 30,000 word novella - more than 40 illustrations, 30 animations, and 3 hours of audio. All that is left is to develop a compelling Web and iPad applications, finish editing the audiobook, and typeset the print edition. This is where we need your help. What will we do with the Kickstarter funds? We'll use the funds to create the highest quality Web, tablet, eReader, audiobook, and printed books we can. Publishing just a printed book is hard enough, publishing multi-channel to Web, Tablet, eReader, audio, and print requires more money than we have available. This is where you come in. Most of the money we collect will be used to publish the book on all channels. The Interactive Web and Tablet editions need to be developed, the audiobook needs more professional editing, the print edition needs professional layout and typesetting. In addition, some money will be used to cover the costs of paying the artist, Daniel Cortes, the author P.C. 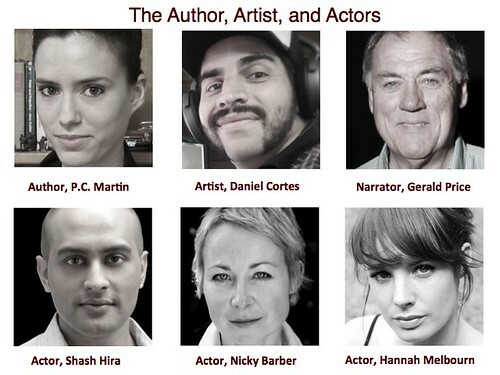 Martin, the book cover designer, and the voice actors. They've all worked really hard and love this project, but they need to put food on the table. If we are fortunate enough to collect more than our funding goal, we’ll put that money toward developing our next interactive title in the series, Steampunk Holmes: The Island of Dr. Moreau. Got anything else to say? For us, this project is a labor of love. The love of Sherlock Holmes. The love of Jules Verne. The love of Steampunk. And our love of reading. With a little love from all of you this project will bring as much joy to the people that experience it as we’ve had in making it. Please give what you can afford and you’ll have our eternal gratitude and some nice swag to boot! 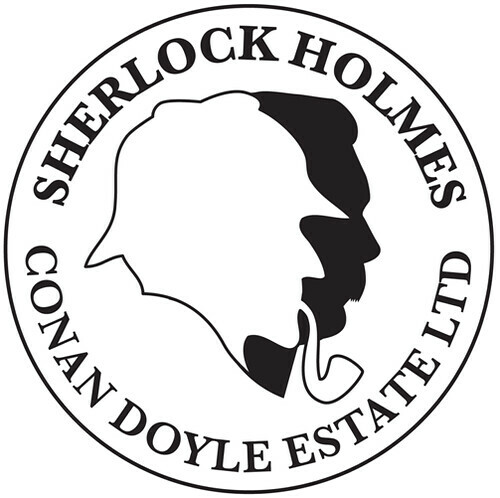 Grateful acknowledgment to Conan Doyle Estate Ltd. for permission to use the Sherlock Holmes characters created by the late Sir Arthur Conan Doyle. Pledge any amount and you will get a link to download the text-only eBook edition of Steampunk Holmes today! All pledges qualify - even $1.00 gets you a free download of the text-only eBook which you can read on your Kindle, Sony Reader, Nook OR directly on your laptop as a PDF! You get access to the first book in the series, 'Steampunk Holmes: Legacy of the Nautilus' as promised at the $1 and up level, as well as an advanced copy of each of the next six books in the series as they become available. 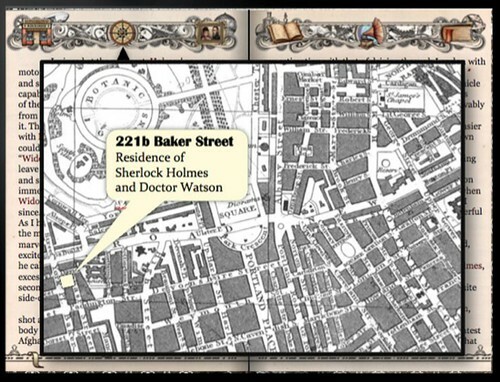 All three electronic editions of 'Steampunk Holmes: Legacy of the Nautilus', including the fully enhanced, illustrated, and animated iPad book app, the text-only eBook (ePUB), and the audiobook (MP3). PLUS your name immortalized on the Contributors List published in the iPad book and the web site. **** You get access to the first book in the series, 'Steampunk Holmes: Legacy of the Nautilus' as promised at the $1 and up level, as well as an advanced copy of each of the next six books in the series (eBooks) as they become available. *** You also get a lifetime subscription to the Steampunk Holmes Web site on which you can enjoy reading and interacting with the first book, Steampunk Holmes: Legacy of the Nautilus and all subsequent books in the series as they become available. *** And finally, you get a copy of the print edition of 'Steampunk Holmes: Legacy of the Nautilus' for those of us who like to curl up with a book. Everything you get at the $29 level plus Abney Park's latest music CD signed by lead singer, Captain Robert. PLUS your name immortalized on the Silver Contributors List published in the iPad book and the web site. At the $249 level you get everything you get at the $99.00 level plus, access to all subsequent books in audio, iPad, eBook, and print editions as they become available. In addition, your name will be immortalized in the Gold Level Sponsors List permanently included in the acknowledgments section of all editions of the book.